Two Basque sculptors, Eduardo Chillida and Jorge Oteiza, were the starting point for this design. The work is based on geometric and dynamic shapes. Subsequently, the idea of bringing these shapes together through a steel cord was proposed. 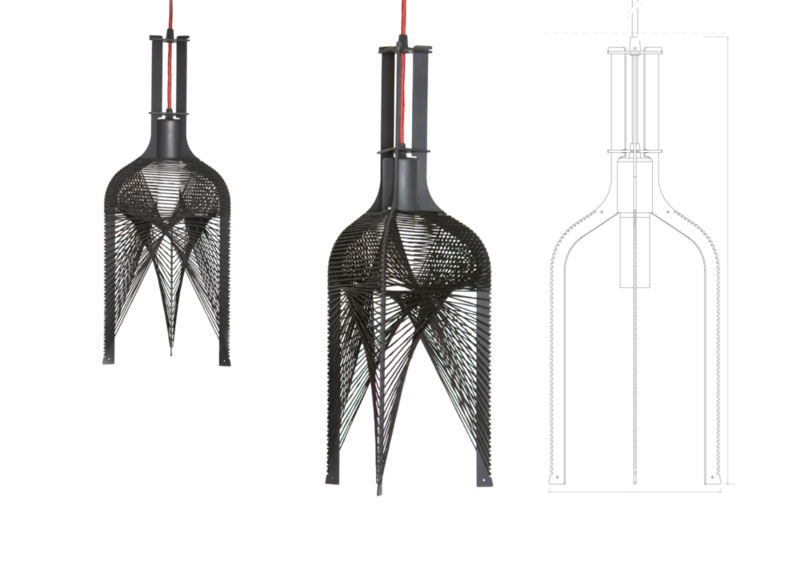 The model kept being developed and now you can see the final design where a cord made out of thread allows the user to customise the lamp. Conceptual lighting design for Moddis by Daniel Asenjo and Raül Vilanova. Design displayed in the Light & Building expo, Frankfurt 2012.